Kalank is arguably one of the most awaited films of 2019 and the film will open in theaters on Wednesday. The biggest highlight of the Abhishek Varman-directed film is its impressive star cast. The film features Varun Dhawan, Alia Bhatt, Sonakshi Sinha, Aditya Roya Kapur in pivotal roles and it reunites veteran actors Madhuri Dixit and Sanjay Dutt, who will be seen sharing screen space after 22 long years. The film showcases the complicated love story of Zafar and Roop (played by Varun and Alia). Madhuri Dixit has been cast as Bahaar Begum, while Sanjay Dutt plays the role of Balraj Chaudhry. Going by the film's trailer, the love triangle between Alia Bhatt, Varun Dhawan and Aditya Roy Kapur forms the crux of the storyline. Sonakshi Sinha plays Aditya Roy Kapur's wife in the film, while details about Kunal Kemmu's role have been kept under wraps. Film's producer Karan Johar described the film as his late father Yash Johar's "dream project." The film is set in 1940s. "A film that was born in my heart and mind 15 years ago. A film I passionately believe in... The last film my father worked on before he left us. It was his dream to see this film come through," this is how Karan Johar had summed up the film in one of his Instagram posts. 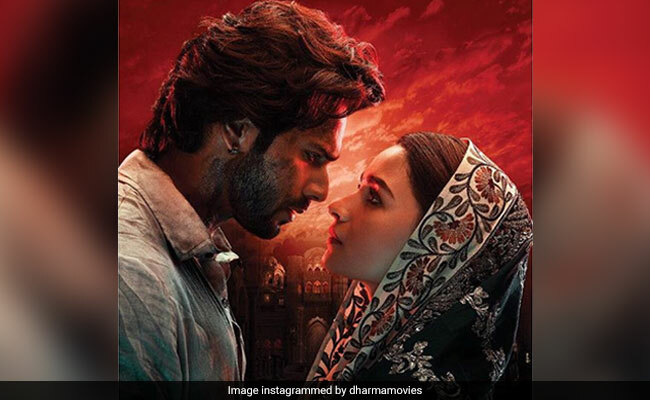 The playlist of Kalank is a hit already with tracks such as Tabaah Ho Gaye, Ghar More Pardesiya, Kalank title track, First Class, featuring Kiara Advani and Aira Gaira which features Kriti Sanon.